Let me explain. 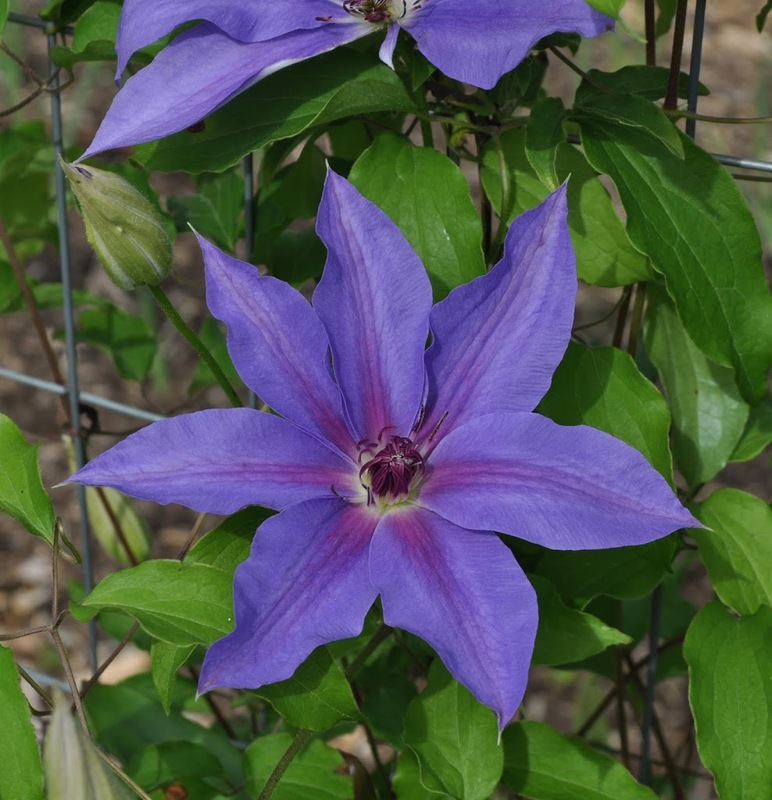 I have a half dozen or so clematis plants of named varieties that I got from nurseries. A few years ago, I started noticing small plants — seedlings of the named varieties, especially from near a Nelly Moser plant — sprouting near the mother plants. I meant to save a couple, I even transplanted some, but these first seedlings succumbed to neglect. More recently, I’ve paid closer attention to the seedlings, especially those that sprouted fortuitously near the fence around the vegetable garden. My first seedling flower spread open clear, blue petals — beautiful. It’s a keeper. If I deem it truly and uniquely spectacular, I could give it a name and multiply it asexually to spread the joy. Then it would become a named variety or, to use the more professionably acceptable term, “cultivar,” from the words “cultivated variety.” The word “cultivar” grates on my ears; I refuse to use it. 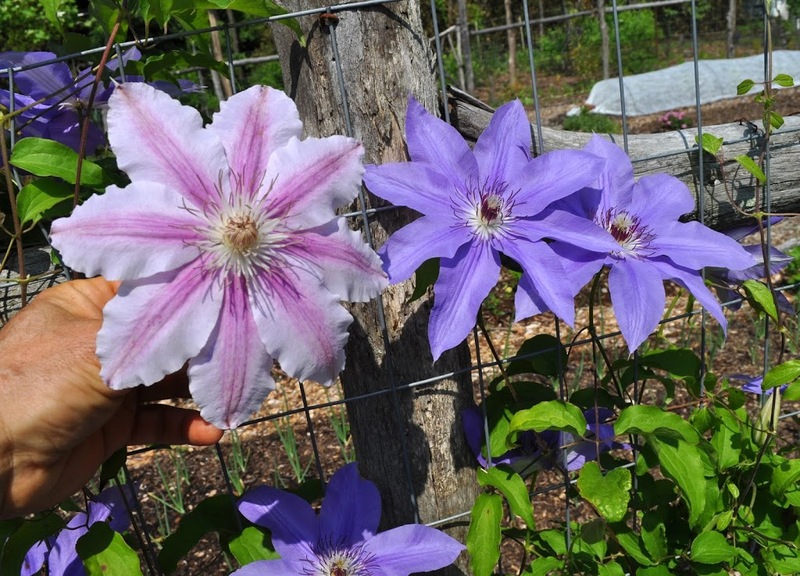 This entry was posted in Uncategorized and tagged clematis, cultivar, Garden Conservancy, pollination, The Pruning Book, variety. Bookmark the permalink. Trackbacks are closed, but you can post a comment. I’m trying to train a clematis up a trellis with ~ 1/8 on a side square cross-section elements — is this likely to work, or are the bars just too fat? I assume you meant bars square in cross-section, 1/8 inch by 1/8 inch. If so, yes, it will work fine. 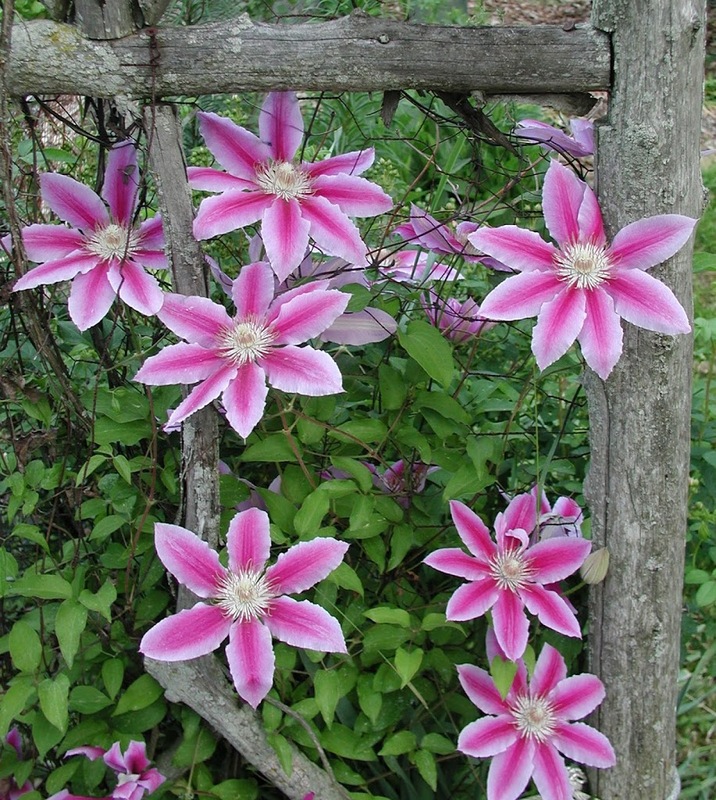 One meaning is a garden variety, as in Nelly Moser clematis. Really?